Package for me? I never ordered Agege bread..
For many English words, there is the ordinary meaning and then the Nigerian meaning. Take the word “Packaging” for instance. In our dear country, Packaging refers to the act of doing the barest minimum to reach an acceptable standard even though the overall substance lacks quality. It also means padding a substandard material to bloat its appearance in excess of its utility. Ok enough with my heavy grammar; packaging means – the more you look, the less you see. I will illustrate as I always do. 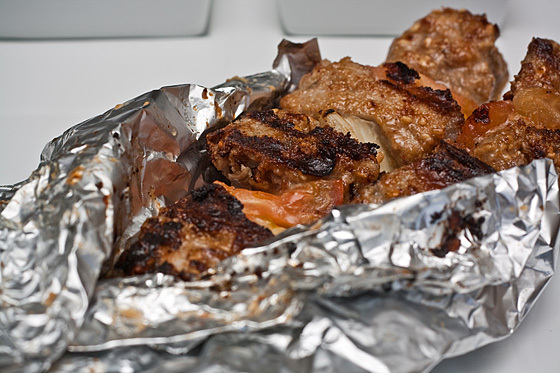 There are times you order suya from a mallam and it comes wrapped up in sheets and sheets of newspaper. As your mouth waters in wanton anticipation of groundnut and pepper flavoured beef chunks, you begin unwrap your “package” of suya which most times you will find, is harder to undress than an Egyptian Mummy. When you finally do, your face drops as you see the object of your affection in all its scant glory – a couple of bare strips of meat, but lots of onions and raw tomatoes. This looks like unwrapping a birthday gift wrapped in expensive paper only to discover the umpteenth photo frame gift you have received that day. Oh you shouldn’t have, you really shouldn’t have. Not that I think that suya has anything in common with cheap photo frames, but you should get my drift. The suya mallam has expended the cost of 10 Sunday Thisday newspapers in wrapping up a N100 stick of suya, and has added N50 worth of “salad” materials for you. I hope you didn’t skip dinner for this – fufu or not. In my school in Britain some years back, there was this chap who barely managed to pay his school fees, and was put on some installmental payment plan by the Bursary Office on the pain of death that he pay up fully or he wouldn’t be allowed to graduate. The situation was so bad, that the chap left the city where our varsity was located, and relocated to a much bigger city so that he could get 2 better paying jobs. He only had an average of 2-3 classes a week, so this chap made a 1 hour commute via train to the University on lecture days, spent the night and returned till the following week. One of the jobs, this chap did was the famously known “freshen up.” For those who have lived in the UK, you know that most clubs or big bars have a steward/attendant manning the toilets. The steward had an assortment of sprays, perfumes, after-shaves and eau d’toilets arranged on a desk inside the toilet; some even stocked condoms and chewing gum. Whenever any customers or patrons used the loo and was about to wash their hands, the toilet steward would offer the customer to “freshen up” by offering him assorted hand creams to use or to spray any or some of the colognes on the table. Most oyibo customers liked to freshen up, especially female ones who went to the toilets to touch up their make-up after boozing and sweaty dancing. The customer would usually then give the steward a tip, usually 1pound. Some drunken oyibo customers have been known to give up to 10 or 20 pounds in their drunken stupor. 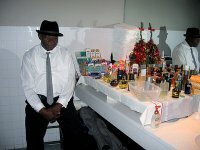 However no Naija or Chinese customer would give you more than 1pound, unless your cologne was called “Weakness for Men” and the club had served ogogoro and vodka cocktails. At the end of the club night, the steward would calculate his overall takings and tips, and give the club a percentage (usually 20-30%). It was nasty work for some, but on good nights could pay up to 300pounds, which if you multiply by 5 days a week, is a decent sum to earn, albeit by spending time in toilets. It also helps that the bye-product of fish and chips is not nearly as bad as someone who has had lafun and bitter leaf topped with Star lager for dinner. So this dude managed to make a tidy sum while working his “freshen up” job on exile. After some weeks, he decided he needed to travel to Nigeria to “floss” small. He quit his job, and spent a week thronging Zara, River Island, Hawes and Curtis, Charles Tyrwhitt and Cecil Gee buying shirts on discount. He also hit JJB Sports and copped a couple of sneakers and the latest Arsenal jersey for that season which he had inscribed with his name. His surname was longer than California’s governor’s now, so he spent quite a bit on the lettering. He returned to the UK flat broke in January, only to meet numerous demand letters from the school busary. Direct debits do not go on Christmas holidays, you see. When he came to beg me for a loan, he explained what had happened. I asked him why he travelled to Nigeria despite owing money up and down. As at the time I graduated, he was still trying to pay off the remainder of his outstanding fees, and the school was threatening to downgrade his degree to a diploma. Packaging, the Nigerian one, epitomizes all that is wrong in our dear country Nigeria today. People put up an act, a façade, mystifying smoke of the Wizard of Oz proportions either to win contracts, execute contracts, gain admissions, climb social ladders, conduct business or relate with people. Nicholas did not die eventually, but he was hung with hooks through his bare skin about 6 feet in the air. That was real too. The President decides to attend a private function in a certain state and as a result there is an influx of government ministers, senators and dignitaries. The globe-trotting, very corrupt, pot-bellied state governor decides to quickly commission a bore-hole to give the impression that he is performing and utilizing the state’s monthly subvention efficiently. So the governor invites the President, some senators, commissioners and government dignitaries for the commissioning. The President sends a message at the last minute that unfortunately, he will not be able to attend and sends a special aide on “water and borehole matters” in his stead. The borehole is being commissioned in the village of the Governor’s mother-in-law, but the press conveniently ignores this fact, as they are looking forward to rice and transport money after the event from the state secretariat. At the main event, journalist cameras keep flashing; town criers go to town defending the South Africa frequenting governor on the pages on huge dailies. His cronies claim he has been globetrotting to seek foreign direct investment for the state – in the Cayman Islands and the Bahamas. State universities give the governor honorary degrees. Huge signs are put up at strategic areas of the state hyping the project as part of a government’s economic agendas and economic manifesto as well as irrefutable proof of taxpayer’s money in action. The governor arrives in the cockpit of a 2011 Lexus Landcruiser SUV and cuts the ribbons to commission the project before dashing off. The village ruler gives the Governor a chieftaincy title in absentia and adopts him as a son of the soil, and promises to support his re-election. A few weeks later, that borehole breaks down and starts sprouting yellowish soil strewn water. To hush the farce, the commissioner for information quickly renames the project as Fanta for all by the year 2012. It is in every area of our national consciousness – a chap presents a business proposal to you and seeks to influence your decision to award in his favour by whipping up sentiments and inducing nepotism. Ok you are related to his best friend because your grandfathers were cousins twice removed. The proposal is presented in very nice looking binding materials and the paragraphs are typed to within an inch of their life. On close scrutiny, you discover that the huge figures and million naira projections do not nearly add up, and that this project proposal was hurriedly and careless prepared without the expectation that it should stand on its merit. It has been “packaged” with the belief that other “extraneous” forces will push its case forward instead. You toss it aside like an Olympic 20 leaves exercise book. The chap tries to offer you an “incentive” to “look the other way”. You complain that you cannot, as you have had a stiff neck all your life. Report you to his best friend, saying you were acting like a mugu. 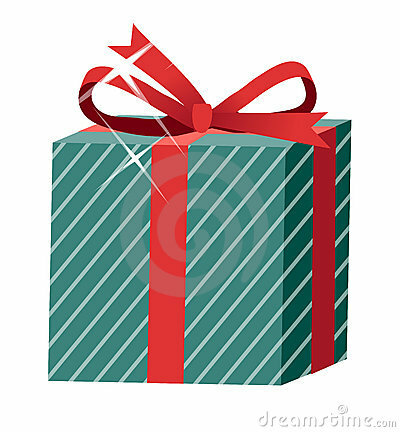 Note that he does not go back to “unpackage” and properly prepare his empty proposal. And we have been packaging for years in Nigeria. No books in the University? Buy hand-outs. If books were food, a hand-out will never satisfy because you are reading to pass exams and quench ignorance and not to gorge and be full of knowledge. We have been packaging when we produce graduates that leave school and learn the most important skill of queuing for jobs or finding an “uncle” that can channel their resumes to the powerful tables for employment in crassly unprofessional banks. I watched The Social Network recently, and I cringed. Not one public Nigerian university can produce graduates or drop-outs of such ilk – entrepreneurs who would be able to take risks and create business empires. We package our family by seeking comforts not legacies; we package our roads with gravel to cover pot-holes; we package our elections by focusing on persons, not personalities or issues. We package our businesses by offering poor value or customer service for money. Fly locally or internationally with some of our local airline carriers, and you will be well packaged like a parcel for delivery. As soon as you collect your boarding pass, it seems an invisible “by air mail’ sticker is stamped on your fore-head. I once travelled with a Naija airline where the plane did some F-16 stunts when attempting to land. Many of the passengers were scared stiff – never mind, the airline had served us chin-chin and hot Caprisonne. Talk about V.I.P treatment. And the air conditioning was not working either. One old mama attempted to wind down to let air in. But guess what, that airline has a user-friendly website which processes payment in the most efficient manner. The airline’s logos and tickets look world-class too. The airline company also employs yellow pretty looking air hostesses who wear the shortest skirts. But that is where it ends – as soon as you are aboard, the air hostesses stop smiling. Do you want to fasten your seat belts or do I have to bind you with a rope. Yeye Economy passenger. Ok o, but the AC doesn’t also work in the First Class Cabin either. What did they pay for then? First class passengers get to board and disembark first. O—kay…. 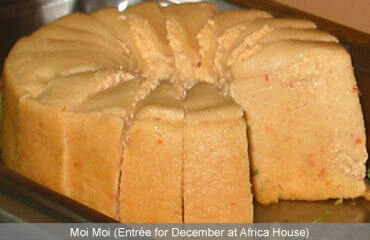 Even moi moi gets packaged now to make it what it isn’t – in foil paper, nylon or tins. What happened to our dear old moi-moi leaf? And our ladies package too. They package their looks – fair enough. But do you also have to package your interests and accents too? Especially to steal a march on others girls? Come on, princess. A Lagos urban legend has it that a girl so “over packaged” herself that she deceived a world naive ajebo chap into proposing to her. She switched up her accent, made up a false history and padded aspects about her childhood. She claimed for example that she had attended Queens College Yaba, when in fact she had attended Queens School, Ugbaja. She ordered take-aways from Ghana High and the other eateries and “repackaged” them as home cooked treats in Thermos flasks and visited the guy everyday at his office during lunch. This girl couldn’t even boil water without burning it. Off course she “packaged” her appearance as well employing Mac, L’Oreal, Bobbi Brown, Almay as well as fake eye lashes, acrylic nails, dental fronts and lace front wigs. She even employed a padded bra and a healthy slice of Mouka foam to upgrade her front features from a 32A to a 34DD. When the overwhelmed guy was confronted with such beauty and grace, he liked it and decided to “put a ring on it”. The wedding reception was held at the National Theatre. In the morning after the wedding, the guy turned over and wondered who the stranger lying next to him was. It was the girl of course, now very plain-looking and unpackaged. She greeted “Good morning, ‘oney” in a thick accent. The guy fainted. He must have suddenly gone cold turkey.